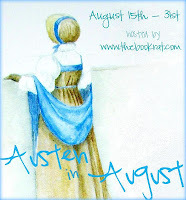 Kailia had so much fun coming up with her Top 5 Austen Moments earlier in Austen in August that she decided she wanted to expand on that and give us her top 5 of Pride & Prejudice specifically! I love Pride & Prejudice. It’s my favorite Austen novel and Lizzie is my favorite Austen heroine and I’m a lot like her. I don’t have as much guts as she does, especially considering she lived in a time where women weren’t supposed to be open about their opinions. But like most Austen novels, this book is a romance and it’s a great romance at that. I love the fact that Lizzie’s and Darcy’s relationship evolves and changes as their lives become so intertwined with each others. The reader sees many sides of both Lizzie and Darcy and their changes practically jump off the pages. While Pride & Prejudice isn’t a small novel, I was able to find 5 scenes I felt really captured this maturity and change in Lizzie and Darcy’s relationship. 1) The first ball: When Lizzie and Darcy meet, it’s like two opposing forces colliding head on. From this very moment, it’s obvious that their relationship will grow. 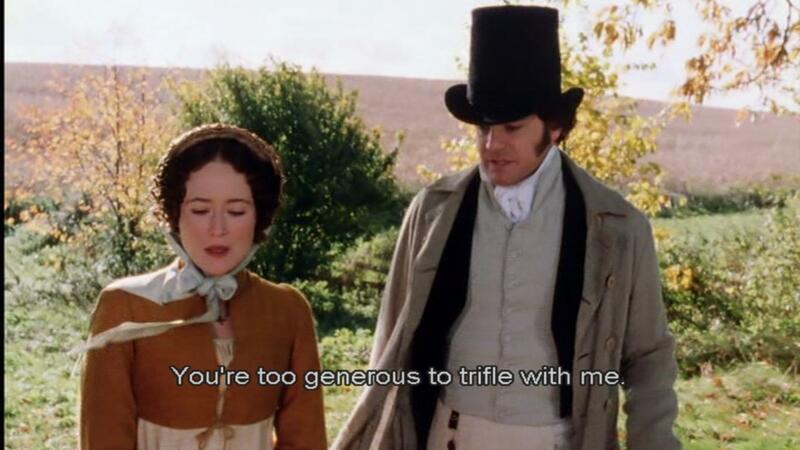 For me, it also showed that Darcy was willing to have a conversation and disagreements with Lizzie. There is just something about the two of them meeting that sets this book up for the amazingness that it is. Plus, it’s cute isn’t it? 2) Welcome to Netherfield: This is when Lizzie has to stay at Netherfield for a few days in order to look after Jane and she and Darcy and often in each others company. There is just something so interesting about this visit. Darcy and Lizzie have plenty of disagreements and their banter is adorable but it’s also where Darcy begins to realize that he likes Lizzie. This is such a huge turning point for the novel in my opinion because it sets up a lot of what is going to happen next. From the commentary and their conversations and basic explanations, it’s obvious that their relationship is growing. "And of course she must improve her mind by extensive reading..."
3) I have struggled in vain: Not only does Lizzie take on Darcy’s aunt Catherine with gusto, Darcy falls even more in love with Lizzie because of it. He pretty much spills all his feelings to Lizzie, both astonishing and insulting her which goes to show that Lizzie’s prejudice (and some pride) is also at fault. I mean, yes he did ruin Jane’s happiness and all but Lizzie was quick to judge too. It goes to show that there is more to both Lizzie and Darcy, none of which we have seen yet. It’s also a great set up because 1) we KNOW she and Darcy are going to end up together and 2) this CAN’T be the ending. Not only does this scene completely change Darcy and Lizzie, it also changes the feel of the novel. Now that Lizzie knows Darcy loves her, she looks at things differently. When more information is presented, she was have to see them in another light. 4) Georgiana Darcy: I LOVE this part of the novel (and the movie)! Not just meeting Georgiana but seeing Pemberley too. From the very beginning of the novel, everyone knows that Darcy loves his little sister very much. I mean, he writes her long letters! It’s sweet and it shows what a good brother Darcy is, which Lizzie can’t deny. 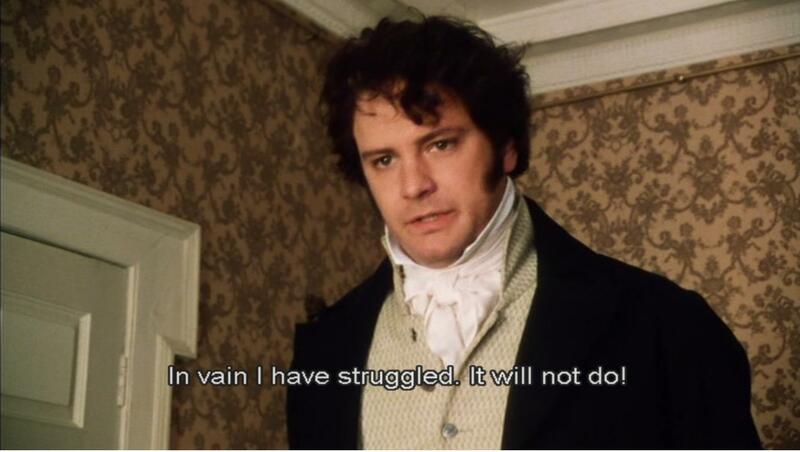 After meeting Georgiana and seeing how Darcy is with his sister, Lizzie’s opinions of Darcy changes. Their relationship takes for the better with meeting Georgiana because I think Lizzie sees a different side of Darcy than ever before. His love for his sister shows but it also puts into perspective that maybe Lizzie was quick to judge Darcy. 5) You are too generous to trifle with me: Ah, the wonderful ending! See? Everything works out! And obviously, this scene is really, really important. Darcy has now told Lizzie that he loves her TWICE and now that her opinions have changed of him, Lizzie finds herself in an awkward position. First of all, everything Darcy did for Lydia shows his continued devotion to Lizzie. Not only that but after his aunt Catherine shows up, it’s foreshadowed that Darcy will ask Lizzie to marry him again. But it’s when you read this passage is when you notice that the ever clever Lizzie is at loss of words. She is quick to accept Darcy’s proposal but both in the book and the movie, it’s awkward. This is basically the climax and the resolution of the novel itself and one of the most important scenes of Pride & Prejudice. So, what do you think? Do you agree or disagree? I want to thank Misty for letting me guest post! * Please note: this guest post was written by Kailia, but the images and gifs were chosen/created by me, so blame me if you don't like them. Awww ADORABLE post! Seeing this makes me want to grab every adaptation of Pride and Prejudice and watch them all back to back! I would say that Mr Collins's first visit to Netherfield is one of my favourites and Caroline Bingley getting burned by Darcy, but you have chosen the lovely sweet moments that probably are the bits I would fast forward to if feeling down :-P Great post! I love that when Lizzy goes to Netherfield to nurse Jane she walks on purpose to get her petticoat six inches deep in mud. She makes it clear that she is not there to hunt for a husband; she couldn't care less about the men; she just wants to help Jane. I love all those moments and would add when Lizzy and Darcy first meet at Pemberley.